Well, that’s new. The long awaited press announcements officially confirming Travelers’ season 3 renewal have finally come through, but with a twist. Travelers will now be produced exclusively by streaming service Netflix, instead of as a joint production between Netflix and the Canadian TV network Showcase, as it had been for its first two seasons. The delay in the official announcement might have been due to working out the details of the divorce. Travelers is one of the most binged shows on Netflix, but must not have had the ratings Showcase wanted to see. Presumably Canadian viewers will still be able to watch Travelers on Netflix. More details on season 3, including Eric McCormack’s Twitter announcements, after the jump. Before I was Will Truman again, I was a Traveler. And I am so excited to be able to tell our fans, worldwide, that Brad Wright’s subtle and stunning sci-fi drama is back for a third season. I am so proud of this show, particularly that it’s all-Canadian. From our devoted Vancouver crew, to an uber-talented young cast who hail from Alberta, BC, Manitoba and Ontario, to my producing partners and our Toronto roots, Travelers is a series as Canadian in its creation, as it is global in scope. I am counting the days ‘til I return, not just as Special Agent Grant MacLaren, and as a producer, but as the director of the 3rd season premiere. 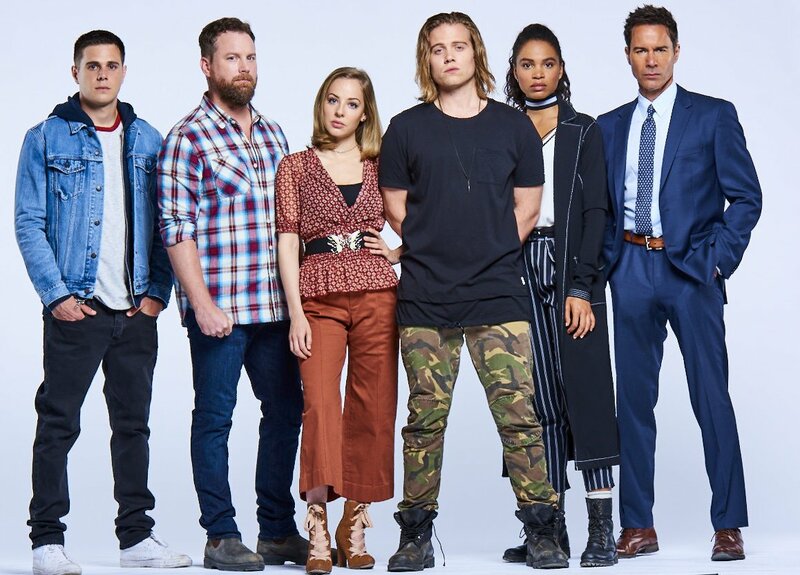 Travelers will continue to be unwavering in its dedication to Canadian talent, and in its drive to be one of the strongest, most binged shows on Netflix. Our partner Eric said it best. We’d like to add our gratitude to our viewers in Canada on Showcase – as well as the Corus and Sky Vision teams – for two extraordinary seasons. We are excited to start shooting Season 3 this March in Vancouver, and to continue the Travelers story for fans in Canada and around the world, only on Netflix. Variety.com report on Travelers renewal. They both say that the show takes place hundreds of years in the future, lol. They used the same stock description written by someone who’d never seen Travelers.